Lovely temperatures, fewer crowds and special events: there are so many positives to visiting Mallorca in May. The island can seem close to perfection at this time of year, when glorious sunshine makes getting out and exploring – or simply relaxing – a great pleasure. May is when we see the island at its natural best, the flowers and foliage having benefited from spring and winter rains, the land not yet parched by the summer sun. Flights to the island are plentiful yet you’ll skip long queues at the airport, and prices have not yet peaked. Mallorca in May and the mercury is rising. Summer has arrived and the temperature creeps up into the mid 20s, with 17°C as a daily average. Rain does occur this month, so while most visitors will feel comfortable in vacation clothes thanks to stronger sunshine, it’s sensible to bring along a light waterproof. If you like classical music, head to Deia International Music Festival, or if beer is more your thing, you’ll be in heaven at Palma’s annual beer festival. Many top acts land on the island for Mallorca Live Festival; past names include Placebo, The Prodigy and Primal Scream. 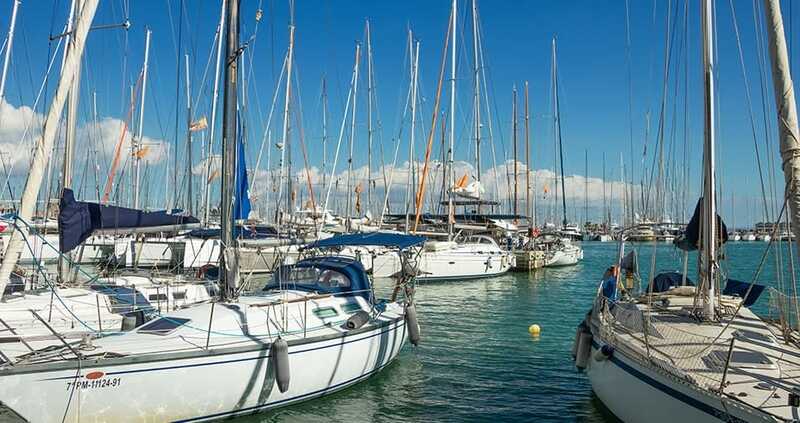 A big sailing regatta in Palma also draws large crowds. 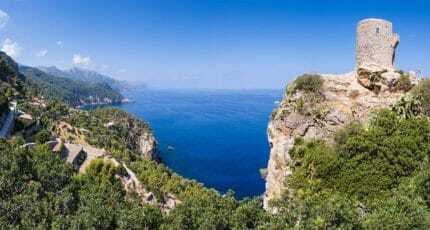 May brings ideal weather for hiking and cycling: except seriously Instagram-able scenery in the mountains and countryside, and on Mallorca’s still-quiet beaches. To discover the major events happening on the island this month, please click here. Those with an interest in history will thrill to the Medieval Fair in Capdepera, which sees its 14th-century castle brought to life with suitably themed stalls and live entertainment. Picture-perfect Port de Sóller hosts traditional Es Firó towards the start of the month, featuring the spectacular re-enactment of the battle between Moors and Christians that took place in the town centuries ago. There are also smaller festivals dotted around in Mallorca’s pretty towns and villages. 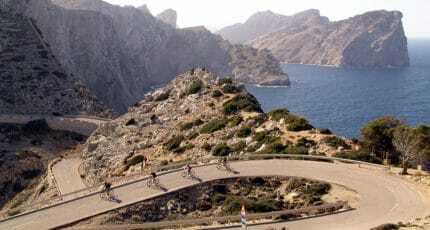 Be inspired with our selection of images that will make you want to visit Mallorca in May. Mallorca in May is a little piece of paradise, so grab yourself some inexpensive flights and discover for yourself. Perhaps you’ll want to visit a local fair, take part in sport, party at a festival or just unwind in the sun. There’s so many possibilities on the largest Balearic island, from Palma’s emerging art scene to a wealth of foodie hotspots and natural beauty in abundance. Visit now, before the scorching heat of summer starts to slow the pace of life! We hope you have found this article about the Mallorca in May useful and that you have many memorable stays in Mallorca as a result of our recommendations.